It’s hard to believe summer will ever end. I love waking up in the early morning sun to take an early run on the beach or a hike in the woods. Summer motivates me to move, and now that the Olympics are in session, it drives me to push even harder. “As I cross the finish line, beads of sweat are dripping down my face. I can nearly contain my excitement to get my hands on that beautiful gold medal. Stephanie, snap out of it”, I say to myself. “You’re just on your morning run”! I am embarrassed to admit it, but, at times, I pretend that I am a part of the US track team in this Summer’s Olympics. Ok…I’m no gold medalist, but hey, a girl can dream about Olympic goals. There is nothing sweeter than an endorphin high. Enjoying the delicious summer sunshine while sipping on a fresh green juice after my daily morning exercise ritual. 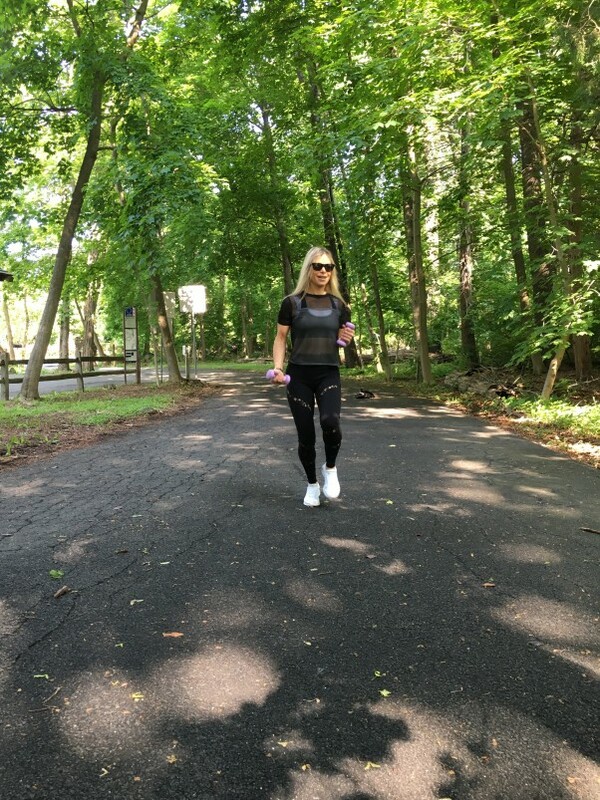 I find a powerful connection with all the Olympic athletes, as I too have accomplished a multitude fitness goals throughout my fitness journey. Whether it is watching the Olympians flip, swim, bike, run, or whip a breathtaking backhand on the tennis court, I’ve been truly inspired to push harder and set even higher goals for myself along my exercise “adventure”. 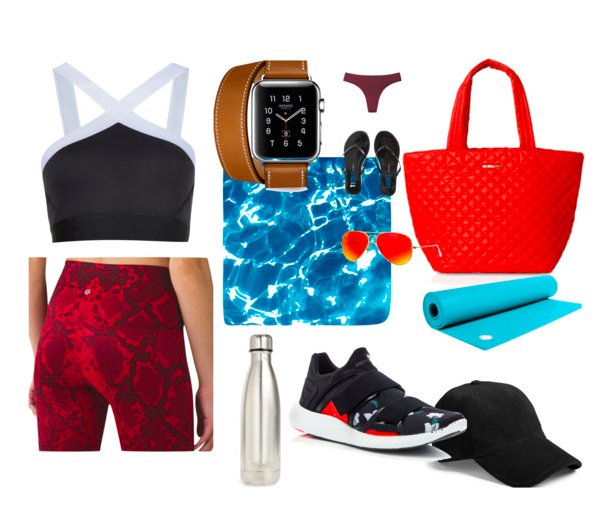 Here is some of my favorite workout gear from tops to sneakers that motivate me. So after a few too many day-dreams, and whole lot of sweaty clothes in the hamper, I have come up with my list of Olympic-inspired workout goals. I hope you can join me along the way. Go for a double. Challenge yourself at least once a week and go for a double class. Go beyond what the instructor says. If you’re spinning turn the nob an extra half turn or go a bit heavier on the weights. If it doesn’t challenge you, it wont change you! Be a trend Setter- switch it up. I sometimes find myself stuck to the more “trendy workouts”. Sometimes the best workouts are found in the most unexpected places. Never stop moving. Your workout shouldn’t just be exclusive to the gym. Be sure to never stay sedentary for too long. Nourish. Abs are clearly made in the kitchen, make wise decisions when eating in, or dining out. Track it. Nowadays we are all so lucky to have a multude of apps to track our fitness goals. Pick one you like and keep track of your progress. Take a load off. Always be mindful to take it easy on the days when you feel you need a break.Your body needs to rest. Treat yourself to a day of shopping, or a massage. It is well deserved!